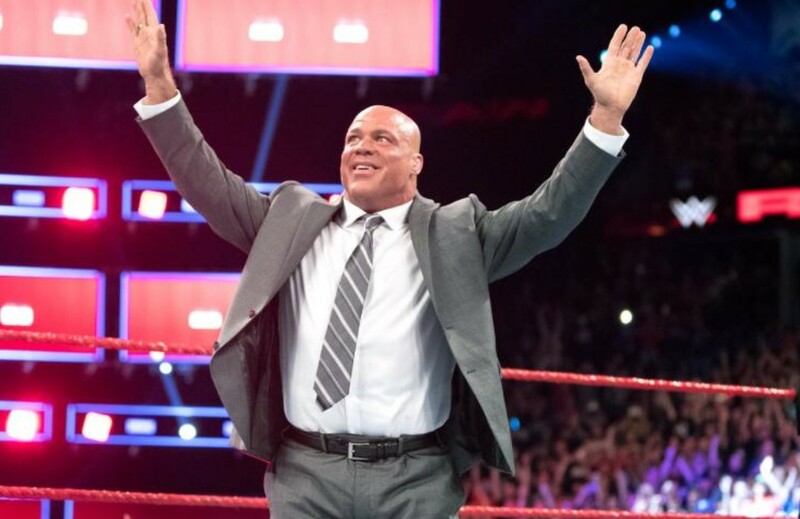 Kurt Angle will wrestle his last match at WrestleMania – AiPT! Kurt Angle announces retirement match for this year’s WrestleMania. It’s true, it’s true: Kurt Angle’s storied career will come to an end at this year’s WrestleMania. After winning at gold medal at the 1996 Olympics with a broken freakin’ neck, Kurt Angle turned his attention from an Olympic ring to the squared circle. He debuted at Survivor Series 1999 as an ironic caricature of the hokey 1980s babyface archetype. He quickly gained notoriety for having the audience bursting in laughter one moment and breaking someone’s ankle in the next. He went on to win four world championships as well as becoming a grand slam champion by, well, winning all the other titles. Angle jumped ship to TNA/Impact Wrestling in 2006, after a rather tumultuous time in his personal life that affected his WWE tenure, where he enjoyed continued success and prominence. He was the crown jewel of that company, winning their world championship on numerous of occasions in addition to building a definitive catalog of matches with the likes of Sting, Samoa Joe, AJ Styles, Bobby Lashley, and Bobby Roode. He finally returned to WWE in 2017 when he was inducted into the WWE Hall of Fame and continued to compete in sporadic matches across WWE programming. And now, nearly 20 years after his WWE debut, our Olympic hero will wrestle his final match at WrestleMania. Angle’s opponent has yet to be announced but it is sure to be a can’t miss, instant classic as Angle is sure to bring his signature intelligence, integrity, and intensity for one final time.